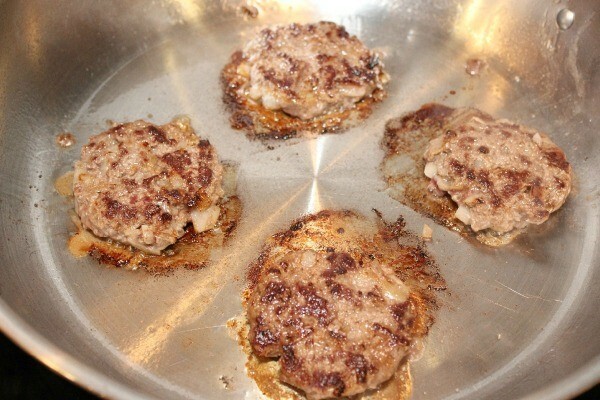 These thin patties were once the predominate form of hamburger and make great sandwiches. 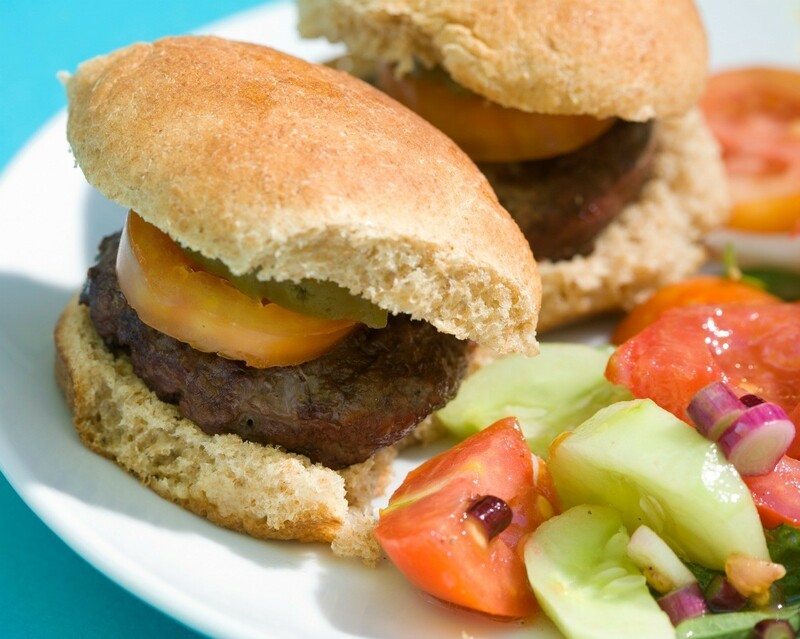 This page contains hamburger slider recipes. 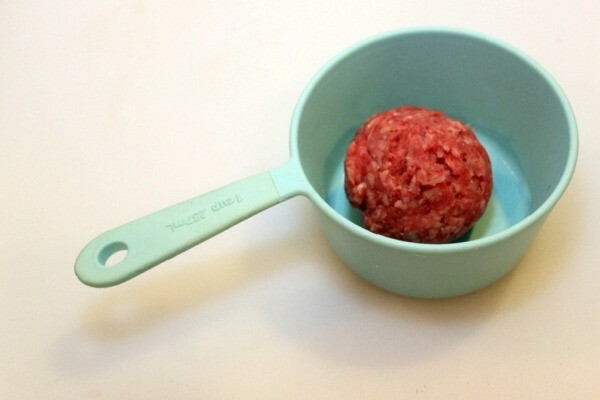 These tiny hamburgers are fun to make and our kids love to eat them! 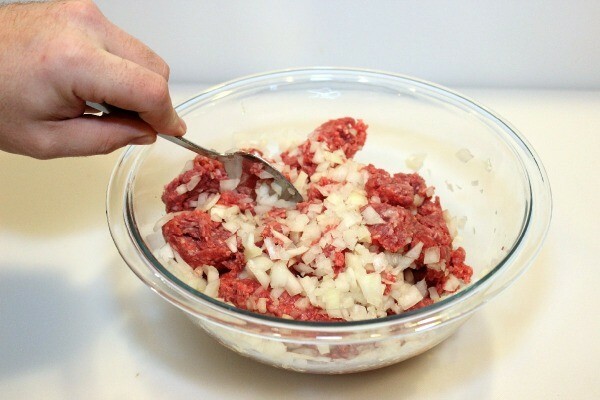 In a medium bowl, combine the hamburger and the onion. Season it to taste. Mix well. Measure out approximately 2 oz. of the hamburger mixture. 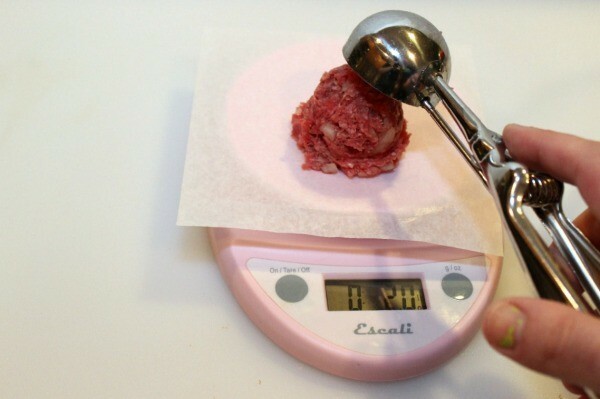 I used a large cookie scoop and checked the weight on a scale. It was almost exact so I scooped out all of the patties with the scoop. 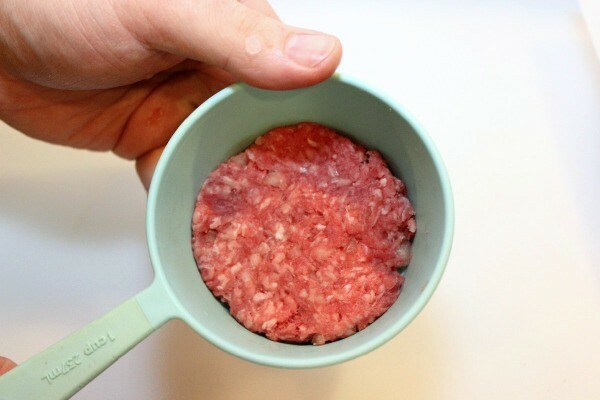 Put the scoop of meat into a 1 cup measuring cup. 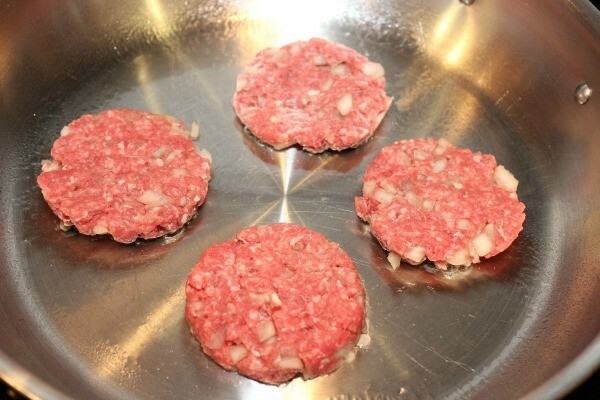 Use your fingers to press the meat flat into a patty. 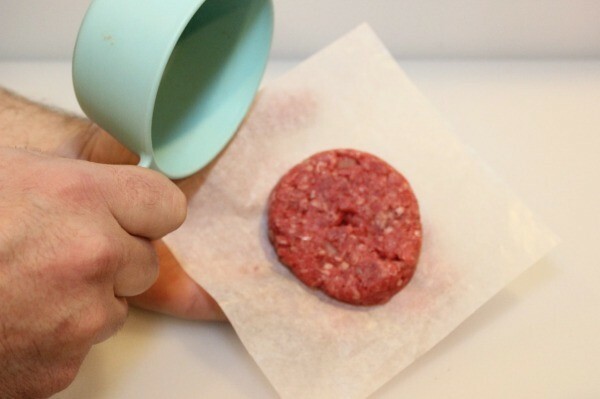 Tap the cup onto a piece of wax paper and the patty will fall out. Heat a frying pan over MED heat and spray with non-stick spray. 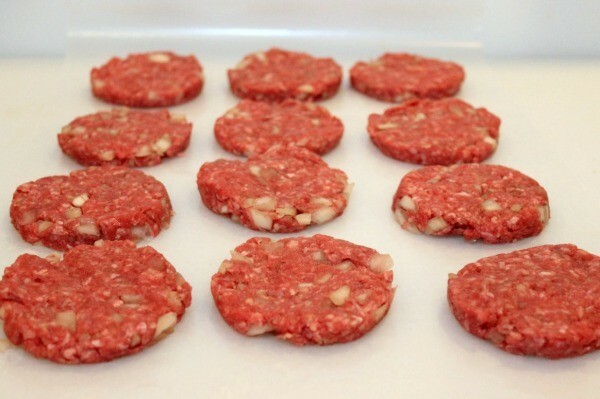 Cook the burgers until all of the blood rises to the top. Then flip them over and cook until done. Towards the end of cooking them on the second side, add the cheese. 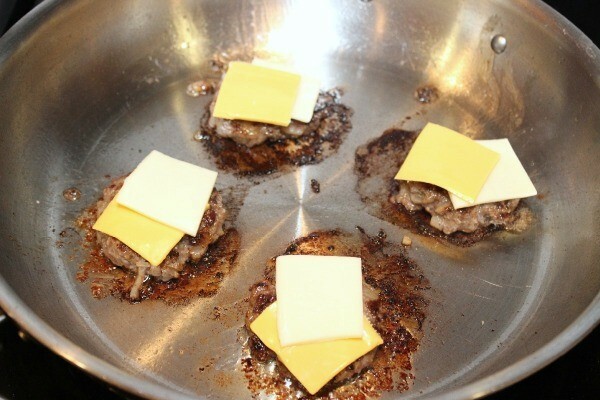 Remove them from the pan once the cheese is melted. 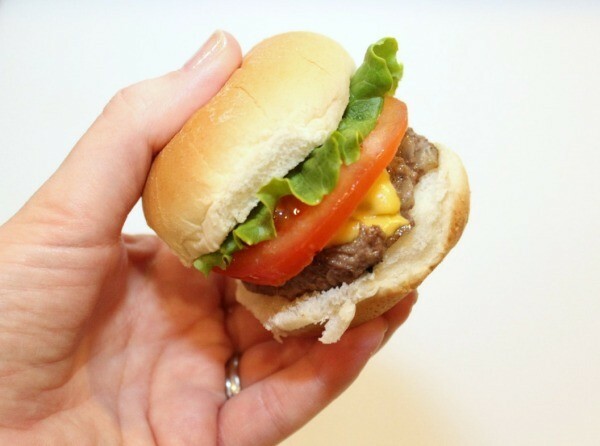 Put them on slider buns and add any condiments you want. Enjoy! This is a popular food around our home. I like to make lots of these and keep them in the freezer. Even the kids like them after they became used to how they look. 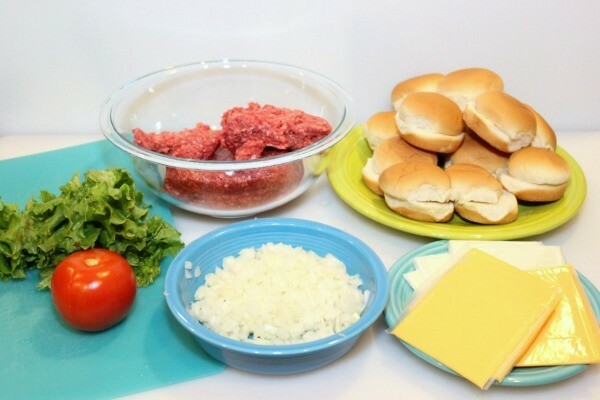 Recipe for Cheesy Mini Burgers. Preheat oven to 400 degrees F. Mix meat, 2/3 cup cheese, 1/4 cup ketchup and garlic powder. Shape into 12 balls. Place on foil covered baking sheet sprayed with cooking spray. 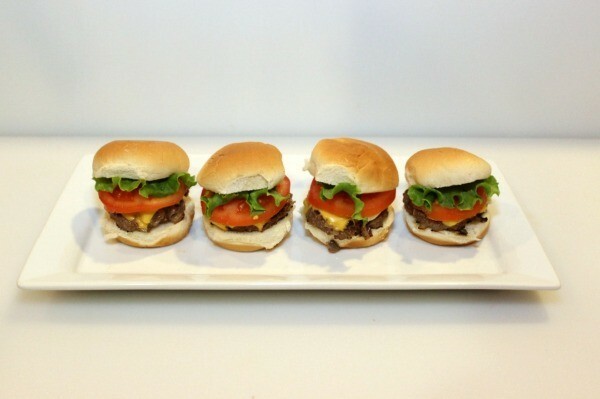 . .
Mini cheeseburgers are a great meal to make at home. Check out how to make them with this short video.